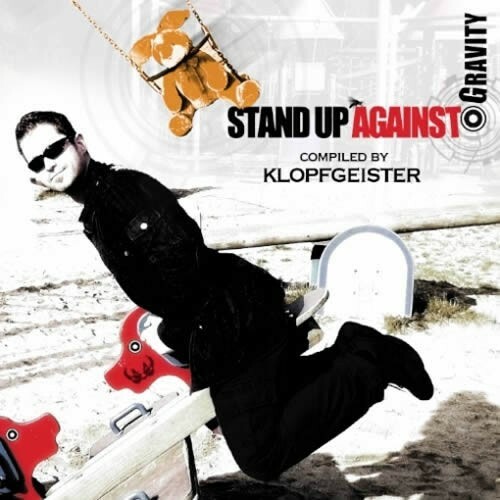 Stand up against Gravity is the first compilation release from Thorsten Paul, better known as Hamburg based trance oldstager Klopfgeister. Thorsten has carefully selected nine previously unreleased floorfillers for your pleasure. Full of brand new and exclusive material from the world of progressive trance, this compilation brings you a great selection of progressive beats, covering the wide range of todays scene and trends, represented by international top artists. By contributing his own productions like a fresh Klopfgeister tune and a fantastic track by his new project Clubgeister, he compiled a perfect collection for this festival high-season.He released his debut album Sweet Compromise in 2005. Since then, he is constantly touring the world, performing in massive parties and international festivals, promoting his unique sound and style. His very successful album works Sunflavoured (2006) and Travel Diaries (2007) have been released at IONO Music and still enjoy a great popularity. All album works have been sold out and due to a continuing demand Travel Diaries has been reissued in 2011. Along the way Klopfgeister produced some smashing single tracks for several compilations next to uncounted remixes for big names of the scene, released at leading labels of progressive trance. Filled with pure offbeat pressure as well as deep pushing basslines and warm melodies this compilation will violate all forces of gravity - to be experienced on all progressive floors on international trance gatherings.